A First Course in Systems Biology is an introduction for advanced undergraduate and graduate students to the growing field of systems biology. Its main focus is the development of computational models and their applications to diverse biological systems. The book begins with the fundamentals of modeling, then reviews features of the molecular inventories that bring biological systems to life and discusses case studies that represent some of the frontiers in systems biology and synthetic biology. 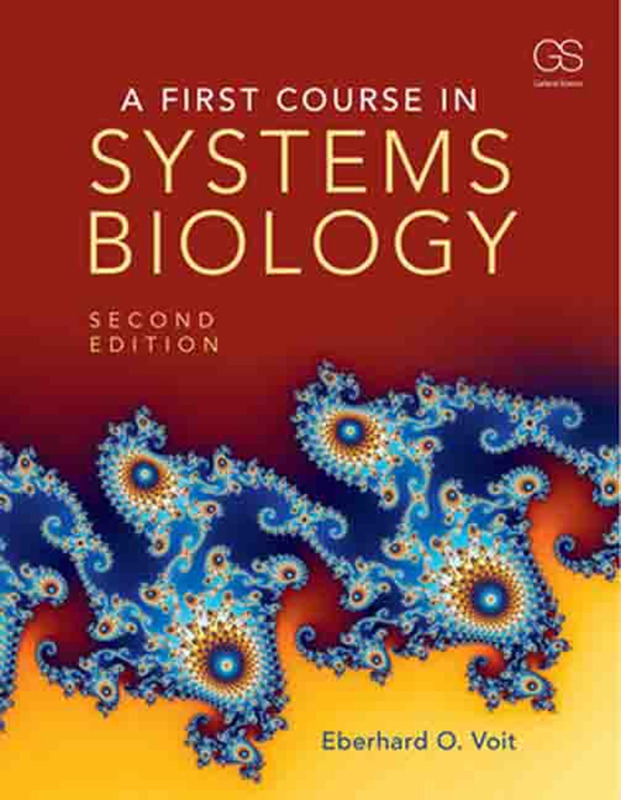 In this way, it provides the reader with a comprehensive background and access to methods for executing standard systems biology tasks, understanding the modern literature, and launching into specialized courses or projects that address biological questions using theoretical and computational means. New topics in this edition include: default modules for model design, limit cycles and chaos, parameter estimation in Excel, model representations of gene regulation through transcription factors, derivation of the Michaelis-Menten rate law from the original conceptual model, different types of inhibition, hysteresis, a model of differentiation, system adaptation to persistent signals, nonlinear nullclines, PBPK models, and elementary modes. The format is a combination of instructional text and references to primary literature, complemented by sets of small-scale exercises that enable hands-on experience, and large-scale, often open-ended questions for further reflection.